Nowadays, regardless of the model or brand of forklift you choose, they depend on hydraulic fluid for their steering and lifting abilities. Keep in mind that hydraulics serves as the lifeline or you can say, the “lifeblood” of your lift truck. Without this important fluid, you are exposing and increasing the chances of your forklift to encounter a breakdown. Regardless of whether you plan to use the machine to lift a 1,000 lbs. or 20,000 lbs. 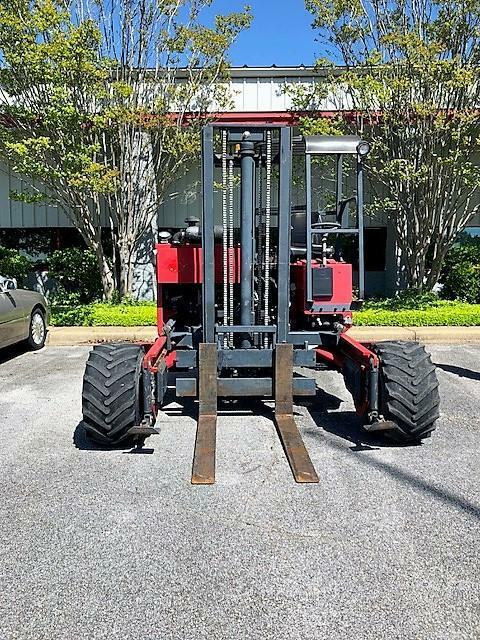 weight, an efficiently functioning forklift relies on the right amount of hydraulic fluid. If your forklift does not have enough hydraulic fluid, it will decrease the functionality of your lift truck and hinder the steering ability. On the other hand, an overabundance of the fluid means it will cause spills and leaks, leading to environmental dangers and safety problems. From our experts at Moffett truck, here’s a comprehensive guide on how you can check the fluid of your Moffett truck. Did you just notice something is not right with your lift truck? Is your lift truck moving slow and making an abnormal nose? How many days is it since you last filled your hydraulic fluid? Maybe it’s the right time you should consider checking the levels of the hydraulic fluid. Nevertheless, the question is, how can you be sure that you are doing this right? Get Your Dipstick: For various forklift models, many OEM (Original Equipment Managers) provide the exact dipstick. For example, pneumatic tire trucks, and cushion tire use the same dipstick with the masts ranging from single all the way to triple stage. For other pneumatic forklifts, you can use the sides that have P1-P3 markings. With cushion lift trucks, you can use the sides of the dipstick with C1-C3 markings. For further reference, you should also check the operator manual for the number you should use to contact your local dealer. Park Properly on a Leveled Ground: You should make sure that your lift truck is not at an angle, on an uphill or uneven surface. Make sure to lower the forks on the ground level and avoid tilting it forward or backward. If they remain at an elevated angle, some of the fluid levels would be in the lift cylinders and you would not be able to gather enough reading. Use an Appropriate, High-Quality Fluid: You should ensure that you use the right recommended fluid the manufacturers recommend. If you put the wrong type of fluid in the Moffett equipment, this can lead to poor results. To ensure your equipment works in the right working order, you can conduct regular filter replacements, fluid checks, and routine inspections. You should keep a track on the hydraulic fluid to ensure you replace it every 1,000 hours of its use. For further information, service questions, feel free to contact our service department and our team will be here at your service, regardless of the time.